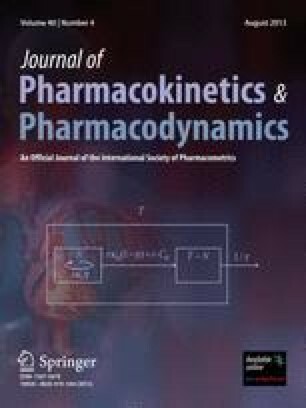 Neuromuscular block (NMB) is simulated in pharmacodynamic models using the concentration of a muscle relaxant (MR) in the effect compartment and two constants, γ and IC50. No physiologic or pharmacologic interpretation is offered for either constant. We desired to explore whether the constants are properties of the muscle or the MR and to simulate NMB when the MR binds to two sites at a single receptor. Based on steady state conditions, we defined receptor occupancy using the equilibrium dissociation constants. Two concepts are introduced: threshold occupancy and occupancy at half-maximal NMB, OccNMB50. Threshold occupancy is defined as receptor occupancy at the motor end plate of a muscle fiber when the fiber fails to contract and OccNMB50 as the median threshold occupancy. NMB may be simulated as a function of either the concentration of the muscle relaxant or receptor occupancy. We suggest: (1) The distribution of threshold occupancies is an intrinsic property of a muscle and is characterized by two constants (γO and OccNMB50); (2) γO is numerically equal to the slope of the NMB vs. concentration curves and is independent of the equilibrium dissociation constants. IC50 is codetermined by OccNMB50 and by the equilibrium dissociation constants. (3) Binding of a muscle relaxant to the second binding site influences only the estimate of IC50 but not γ.